Easy to reserve a table, I booked through Opentable for 3 people, including JW (a request for a high chair was also included). The venue outside was so unimposing, one could simply walk past it without noticing… Upon entering though, you’d realise it is in fact quite a unique place. 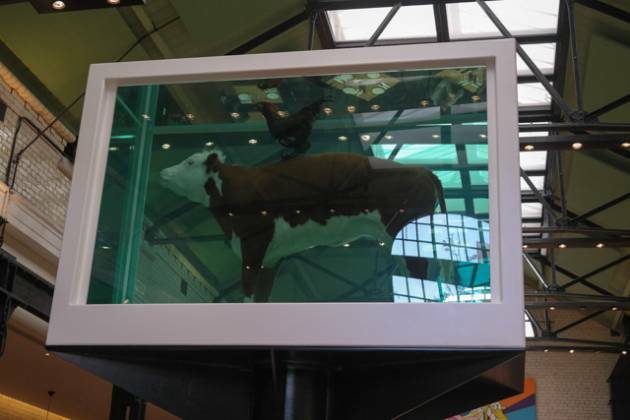 It used to be a large warehouse, and they’ve kept that look and feel – industrial meets art… I say ‘art’, this was mainly because of the large Damien Hurst Cow and Chicken in a tank of formaldehyde installation! Quite a sight! The tables were laid out, with linen napkins. So, all in all, a smart, funky styled venue. Claire ordered a glass of wine. They offer bottomless table water for one pound, which is donated to a local charity… As I was driving, I stuck to that. I wasn’t overly hungry and, as I was planning to have a dessert, we went straight to mains. I did ask for some bread to nibble on whilst waiting though. They had a nice children’s menu (children meals free with an adults main course order). With this in mind, we ordered JW the minute steak and chips. The main menu was the same as during the week (ie quite heavily focused on steak) but there was the ‘beer can chicken’ to share – duly ordered, along with swapping the chips for the Sunday lunch sides. Lunch was served quickly. JW’s minute steak was served well-done, and came with salad, chips and a large pot of ketchup. We were a bit worried as he doesn’t normally eat beef, but as it was very tender, he ate it all! 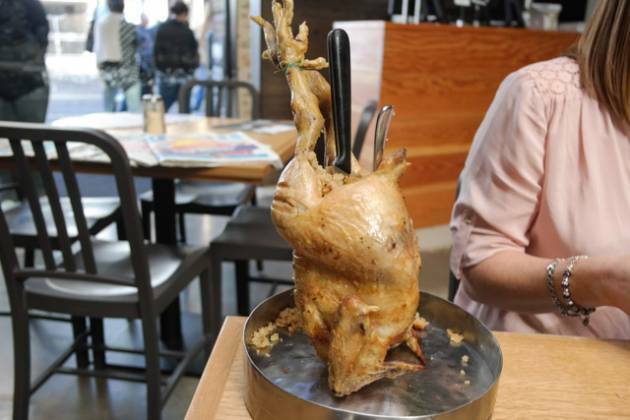 The Roast Chicken was interestingly presented – feet attached, with stuffing inside the cavity (and a sharp knife). The waitress asked if we wanted her to carve, proceeding to cut the feet off, and then the legs. The chicken was moist, and whilst it took me some time to get the meat off, we both enjoyed it immensely. 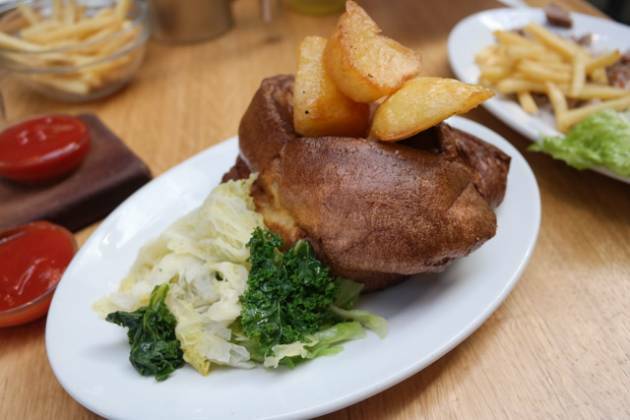 The Sunday lunch side dish consisted of a large Yorkshire pudding, three roast potatoes, cabbage and kale, along with a jug of gravy. They were all excellent, with the roast potatoes being perfect! 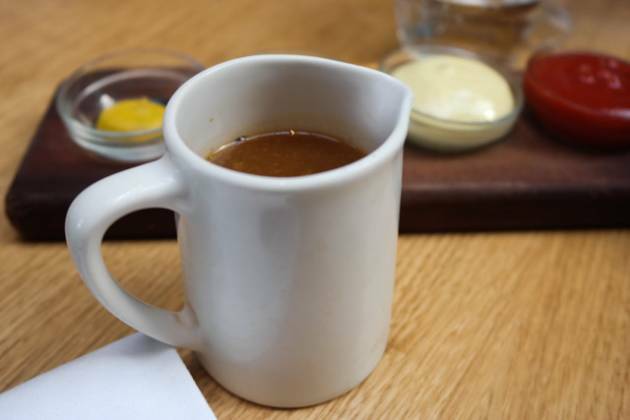 The gravy was delicious too. 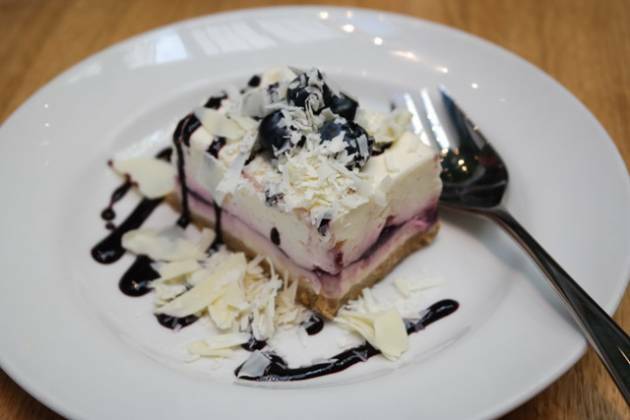 As I am a greedy so and so, I had to try out the desserts – and decided that the Blueberry and White Chocolate Cheesecake would be the one for me! So, this was dutifully ordered, along with two americano coffees. The cheesecake was nicely presented, with shavings of white chocolate and coulis – it was quickly polished off. Very nice indeed and I would definitely order again. They did have baby changing facilities, which came in useful. The high chair was clean and seemed to be in good repair. 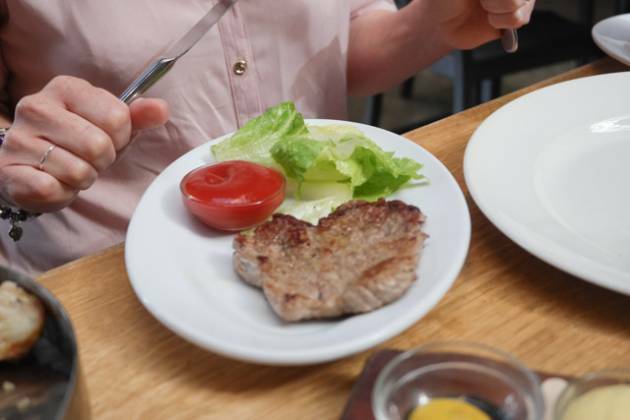 I really liked the fact children ate for free with a full priced main meal – minute steak for a 20 month old baby, no less! So, definitely suitable for families (with very well behaved children). 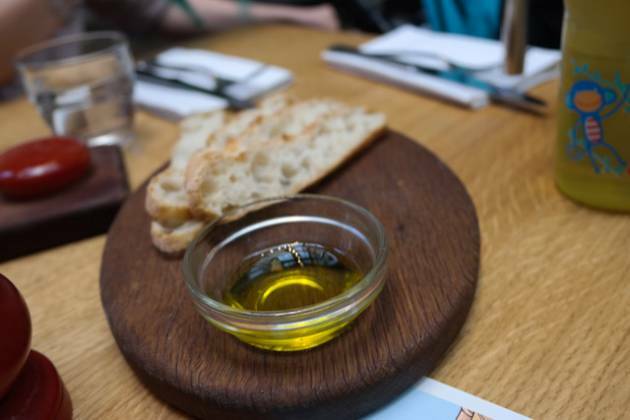 Sunday lunch at Tramshed in Shoreditch was an absolute pleasure. The styling of the venue provided some good talking points throughout the meal. The service was good (previously I had felt they were a bit aloof, but this wasn’t an issue this time around). The food itself was excellent, especially the roast potatoes. I loved the fact that the bottomless sparkling water cost just £1, which was donated to a local charity. This, along with the free bread and JW’s meal, meant lunch actually became quite good value (below £60, including 12.5% tip). 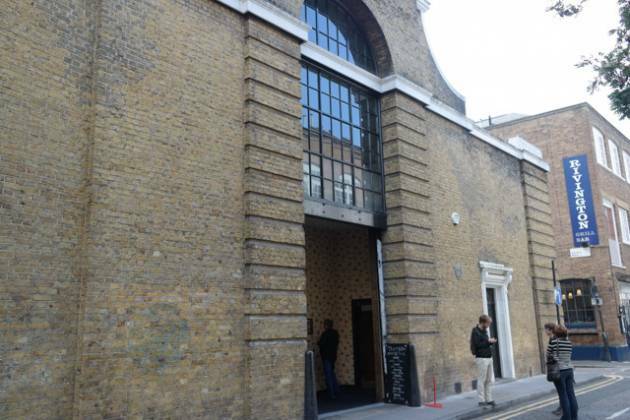 So, Tramshed receives a Top Rated award – suitable to take people you want to impress with a funky venue, as well as being suitable for families.